In order to maintain well-kept hedges, tireless hours of pruning and clipping are essential. But who has the time to be a slave to their hedges? At North Rocks Lawn Mowing we are proud to commit our time to keeping your hedges trimmed and in beautiful condition. Because the climate of Sydney's North West is so conducive, hedges grow at a rapid pace. Trimming is not only done for visual appeal but regular trimming is necessary to train the hedge to grow to its fullest capacity. 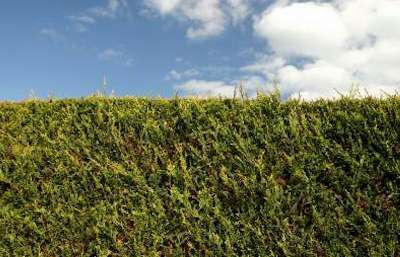 Managing your hedges is critical and letting the hedge grow too far without attention can cause problems, we can consult with you regarding regular maintenance of the hedge or hedges on your property. There are many different types of hedges and North Rocks Lawn Mowing has worked on most types over the years. so whatever the issue may be we will find the solution quickly and competently for you. Call now on 1300 882 787 for a free quote.